The balance of terror created by the presence of weapons of mass destruction (WMDs) on the Korean peninsula has escalated the sense of uncertainty in East Asia, jeopardizing both the region’s security and progress towards political and economic cooperation. The persistent efforts of North Korea in the development of nuclear weapons present a blatant challenge to the United States’ strategic leverage in East Asia, international hegemonic influence, and global disarmament and nonproliferation initiatives. In this paper, I outline and evaluate three approaches to addressing the international threat posed by North Korea: 1) Hostile isolation through economic sanctions, intimidation, and aggressive military posturing to instigate denuclearization 2) Containment by impeding vertical and horizontal proliferation of North Korean missiles that emphasizes the maintenance of status quo over a policy of denuclearization 3) Engagement through multilateral efforts to offer political and economic incentives in exchange for gradual dismantlement of nuclear weapons production, backed by guarantees of international retaliation for failure to reciprocate. I essentially argue that isolation and containment measures have already been tried by the previous administrations and ultimately failed to secure cooperation or denuclearization because they refused to recognize nuclear weapons as the silver bullet to ensuring the regime’s survival. Thus, resolving regional instabilities entails the pursuit of a strategy of engagement and gradual normalization over an extended timetable that precedes a policy of denuclearization through economic incentives in exchange for gradual denuclearization. Consequently, dismantlement becomes a process of weaning North Korea from its military dependence on nuclear weapons for survival to economic dependence on the international community, the sustained contact leading to greater transparency and interaction with international norms. Location of nuclear test. North Korea’s possession of nuclear weapons has created a heightened sense of instability in the region. The Obama administration inherited the foreign policy dilemma of a belligerent North Korea shaped by a decade-long strategy of isolation and subsequently adopted an outdated policy of Cold War-era containment as the simplest strategy to deal with North Korea, sacrificing denuclearization for a weak policy of counter-proliferation. The Bush Administration, in its disregard for the nature of North Korean aggression, sacrificed regional stability and cooperation for an unviable policy of denuclearization. Pursued by the Obama administration, the containment approach proved to be an anachronistic strategy to deter nuclear proliferation, already determined to be ineffective in the strategic arms race between the Soviet Union and the United States during the Cold War. The policy of containment based on the strategy of mutual deterrence during the Cold War contradictorily led to a massive arms buildup despite both the United States and the Soviet Union attaining the minimum requirement for effective deterrence. Sharing a mutual distrust towards the other’s intentions and capabilities, each sought to overcome the security dilemma through the unchecked sophistication and production of existing arsenals weapons that ultimately escalated the costs of war but did little to change the status quo. While North Korea presents a minor threat compared to the former Soviet Union in terms of nuclear stock, it has similarly attained the minimum requirement for deterrence to effectively maintain the status quo without further proliferation - a stumbling block to ending the stagnant balance of terror on the Korean peninsula. 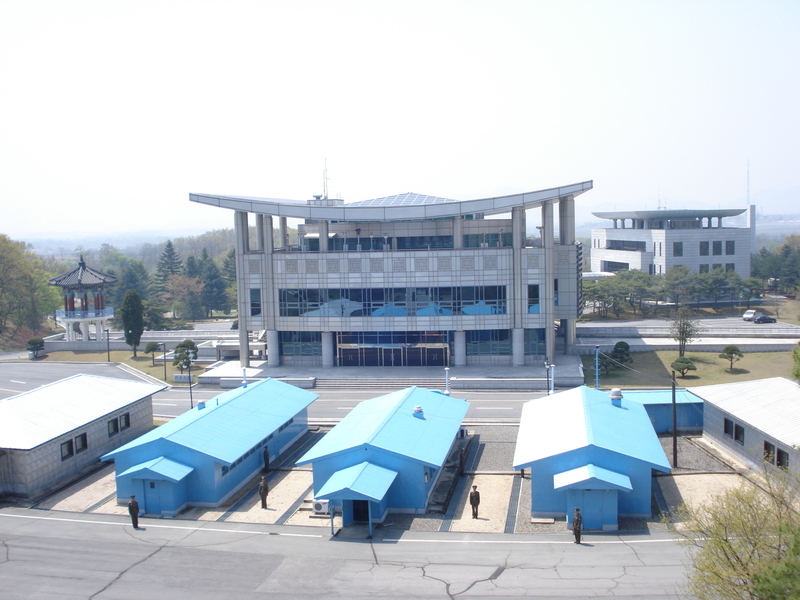 The failures of the isolation and containment approaches stem from their inability to recognize North Korea’s legitimate security concerns: what it perceived as aggressive, American military posturing, coupled with economic and political disengagement from North Korea that holds the key to international integration and mechanisms of transparency crucial to regional stability. The isolation policy outlines ambitious goals toward rapid denuclearization of the Korean peninsula through military threats and intimidation with no indication of reciprocal concessions by the United States. With no initial guarantees of security from the United States, North Korea responded to military aggression with reciprocal threats and subsequent policy disengagement, rescinding its former commitments toward peace and resorting to radicalization of its foreign policy. The Bush administration, in its disregard for the nature of North Korean aggression, sacrificed regional stability and cooperation for an unviable policy of denuclearization. The containment approach, on the other hand, stagnates the progress towards de-escalation of tension by purposely engaging in a patient game of checkmate with North Korea in hopes that the regime would eventually collapse on its own. The DMZ at Panmumjeom with soldiers standing guard. Since the ceasefire was signed in 1953, the 38th parallel marks the border between the two Koreas. Examining the containment policy pursued during the Cold War, the waiting game may indeed prove to be successful when weighing in the triumph of capitalism over socialism attained through sheer endurance; however, the timetable for self-collapse is measured in decades. Is an asymmetric balance of terror sustainable on the Korean peninsula for another 20 years? The persistence of the North Korean regime for over half a century indicates that we may be faced with a vastly different situation. The objective of containment is to prevent further proliferation in North Korea, yet there is no guarantee that this immense task can be achieved, especially as growing hostility drives North Korea towards greater opacity. The containment approach is thus, a no-endgame strategy, in which prospects can only improve for North Korea. 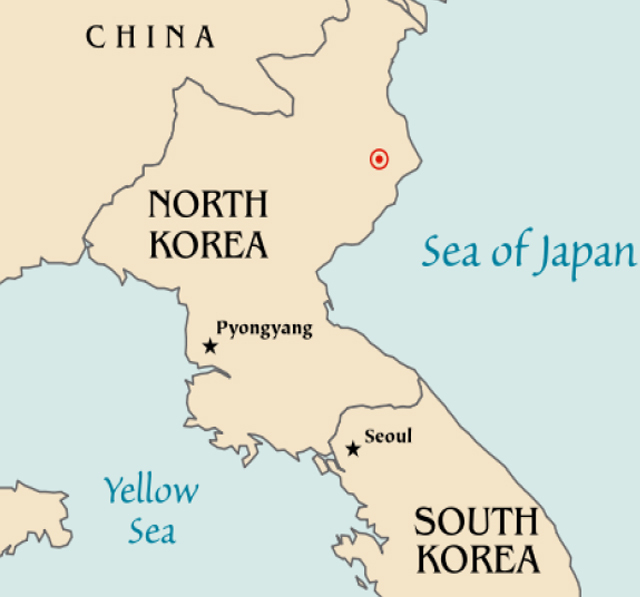 Both approaches have merely emphasized North Korea’s capacity to effectively defy international sanctions, thereby undermining international standards of behavior and driving neighboring states to consider nuclear capabilities to balance North Korea’s asymmetric advantage, which shows no indication of weakening in the foreseeable future. Examining the collapse of the Soviet Union, the fall of the Soviet bloc resulted from internal decay as gradual introduction of capitalism eroded the fundamental basis of socialist politics and economy. As increasingly liberal leaders captured state politics and opened the Soviet bloc to Western influence through policies, such as perestroika, the socialist system faltered as it grew steadily dependent on Western norms and economy. North Korea, the last defiant reminder of the Cold War, poses the same challenges the United States faced in confronting the Soviet Union. The solution, as history shows, relies not on a combination of military posturing and nuclear arms escalation, but the pervasion of Western soft power that gnaws away at the very basis of socialism through increased contact and dialogue. The solution to North Korea then relies solely on instilling the roots of soft power - economic assistance, free trade, and economic cooperation – in the region through a policy of engagement that resets a short timetable of rapid and risky policy of denuclearization to a long horizon of gradual, peaceful economic collaboration that would slowly open North Korea to international influence. Engagement not only improves transparency by providing insight on the degree of change in DPRK intentions, but would also “lay the groundwork for punishment if the regime fails to fulfill its obligations.”17 Moreover, increased contact would provide North Koreans with exposure to “international norms and standards” that could facilitate “grassroots-led marketization and the spread of capitalism” to undermine North Korean leadership and political control over the populace.18 Engagement thus gradually adjusts the asymmetric advantage North Korea currently exercises and tilts the balance of power in the direction of the United States. Because complete denuclearization entails a long process of incremental dismantlement, I suggest a process of converting nuclear arms production to energy resources that North Korea can export to the international community, which would provide economic benefits and a much-needed energy source to the North Korean population. Thus, the success of denuclearization is thus tightly coupled to the success of economic inducements that convince Pyongyang the advantages of integration over nuclear proliferation. However, China’s recent pivot towards a more aggressive and critical view of North Korea is a window of opportunity for regional cooperation towards denuclearization that must immediately be seized. The failures of isolation and containment to deter further experimentation on and proliferation of North Korean weapons of mass destruction relay the lack of clout in reinforcing the consequences of defying international standards and agreement. Thus, it is crucial to utilize the common current of distrust and discontent towards North Korea’s belligerent stance following the rise of its new leader, Kim Jong Un, to coordinate and secure an international decision framing a multilateral agreement for retaliation. Nations Online, “South Korea Profile,” accessed 14 March 2014, http://www.nationsonline.org/oneworld/korea_south_profile.htm.